Vasa and Ypres’s Latest Book: Park Avenue or Bust! Dear Vasanistas! At last, two years after the publication of Vasa and Ypres: A Mayfair Conundrum, the second Vasa and Ypres full-length adventure is here! Park Avenue or Bust! is available for pre-order as an e-book and paperback on Amazon. Tell all who will listen, and get ready to draft those five-star reviews. 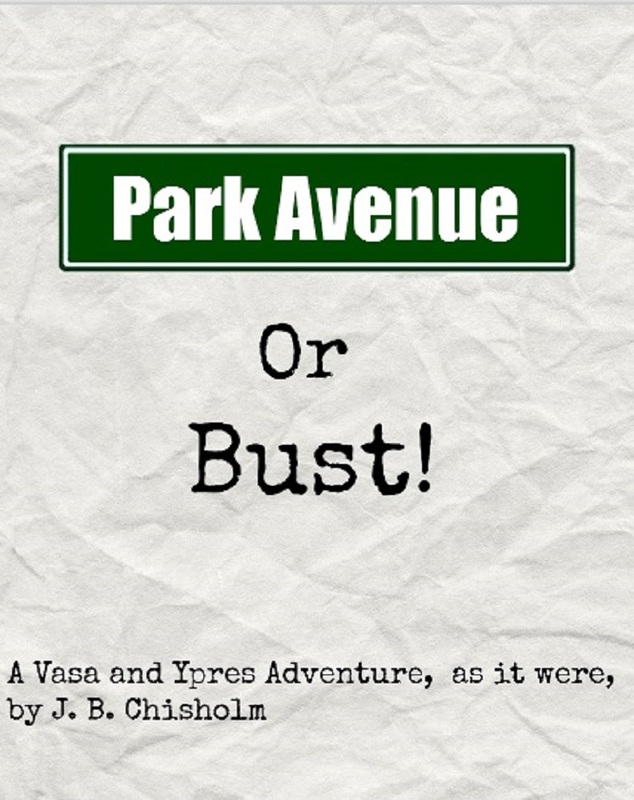 In Park… Continue reading Vasa and Ypres’s Latest Book: Park Avenue or Bust! I stood bemused. Although, can one consider it standing if one is travelling sixty kilometres per hour in a northbound direction? I made a mental note to ask Ypres. Getting back to my predicament, the reason of my bemusement was the unappealing menu poster I was facing in the Amtrak train bound for Montreal. It… Continue reading Chapter XXXIX – Bust! I would have rather forgotten the scene. Beaconsfield-Outremont lay on the hot pavement of Park Avenue. His Lexington Red short shorts, being too tight, had ripped on impact. The ice cream that had been his companion moments before had landed on his face, strawberries nearby, as if arranged by Jackson Pollock. Here was a twisted… Continue reading Chapter XXXVIII – Or! Chapter XXXVII – Park Avenue! Knowing Madison, in the manner one knows of a casual acquaintance who keeps popping up at the same Austrian operas over the years, I was confident she had left the flat for Park Avenue. As it now stood, she was probably skipping her way merely down the thoroughfare as the ladies of the social aristocracy… Continue reading Chapter XXXVII – Park Avenue! Right ho! Why not enter your email address to follow Vasa and Ypres? Everybody is doing it. Why not donate to Vasa Assurances? Why Not Buy the latest Book?